Image courtesy of the Wenatchee World, who has a very nice write-up of the anniversary of the explosion. A copy of their story can be purchased on their website, wenworld.com. 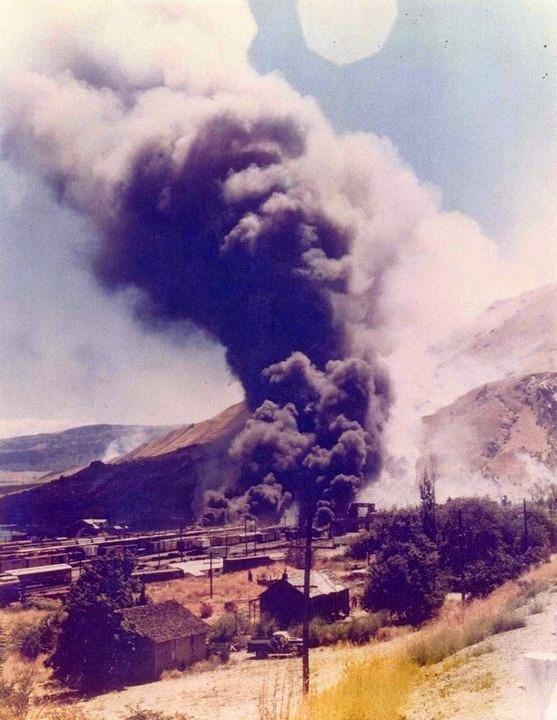 A large explosion on August 6, 1974 leveled a large section of the railroad yard in Wenatchee. The explosion was traced to a tank car of explosive material that somehow ignited.